Lock in a great price for Hotel Ter Kelling – rated 8.3 by recent guests! Very remote, quiet setting. Included satisfactory breakfast. Sehr nette Kommunikation mit der freundlichen und hilfsbereiten Mitarbeiterin. Das Hotel hat durch seine schöne Umgebung Aufenthaltsqualität. Die Lage war für uns günstig. Die Sauberkeit sehr gut. Das Bad modern und funktional. Ruhige aber Zentrale Lage. 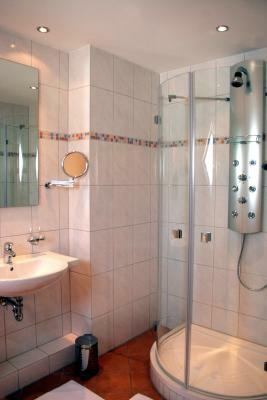 Schöne saubere Zimmer. Das Hotel liegt mitten in der Natur am Baggersee. Wer Natur und Wandern oder Tauchen mag, ist hier richtig. Die zimmer sind nüchtern aber ansprechend eingerichtet, das Frühstück ist gut. Ich habe mich auf Anhieb wohlgefühlt. Frühstück ist sehr gut, frisches Rührei. Die Lage zum Triathlonwettkampf war top! Hotel is schoon, vriendelijk personeel, ontbijt is goed. Hotel Ter Kelling This rating is a reflection of how the property compares to the industry standard when it comes to price, facilities and services available. It's based on a self-evaluation by the property. Use this rating to help choose your stay! 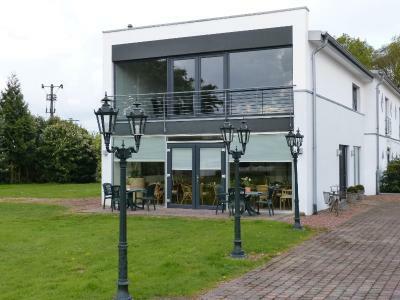 This 3-star hotel is located in the village of Kessel, known for its delicious asparagus, amid the beautiful hiking routes and bicycle paths of the Reichswald forest. The brightly decorated, welcoming rooms offered by the Hotel Ter Kelling feature modern private bathrooms and free broadband internet access. Wake up to a hearty breakfast in the bright breakfast room, which is also used as a lounge and TV room. 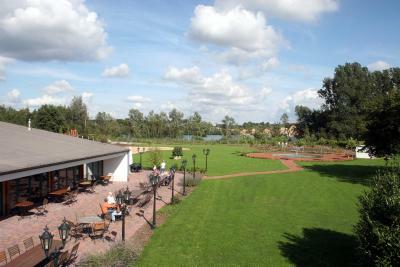 During warmer weather, sit out on the terrace and enjoy the peaceful surroundings, or try your hand at mini golf. 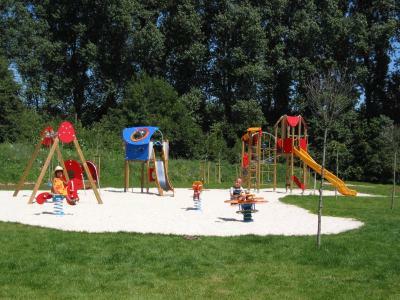 The younger guests of the Ter Kelling can have fun in the playground with carousel. The House of Wellness spa center is located right next door, while the popular GochNess outdoor pool is only 5 minutes away. When would you like to stay at Hotel Ter Kelling? This bright room features a desk, TV, and private bathroom. Some also include a balcony. House Rules Hotel Ter Kelling takes special requests – add in the next step! Hotel Ter Kelling accepts these cards and reserves the right to temporarily hold an amount prior to arrival. Please inform the hotel in advance if you intend to arrive after 6 pm. By prior arrangement, you can use the hotel’s key boxes for late check-in and late check-out. If you would like to smoke, please request a room with an outdoor terrace or balcony upon booking. I received an email in the morning but it was not in English. When I got to the hotel there wasn't anyone at the desk but fortunately another guest happened to come and could read email instructions about how to find the room key for my room.